Jose Mourinho was Florentino Perez's first choice as Real Madrid head coach, and not Zinedine Zidane, according to former club president Roman Calderon. Club great Zidane was appointed as Madrid's third coach of the season earlier this week after the Spanish giants had underwhelmed under the leadership of Julen Lopetegui and Santiago Solari. The 46-year-old Frenchman returns after a trophy-laden 28-month spell in charge, which started in January 2016, as he led Madrid to three straight Champions League triumphs and a LaLiga title. 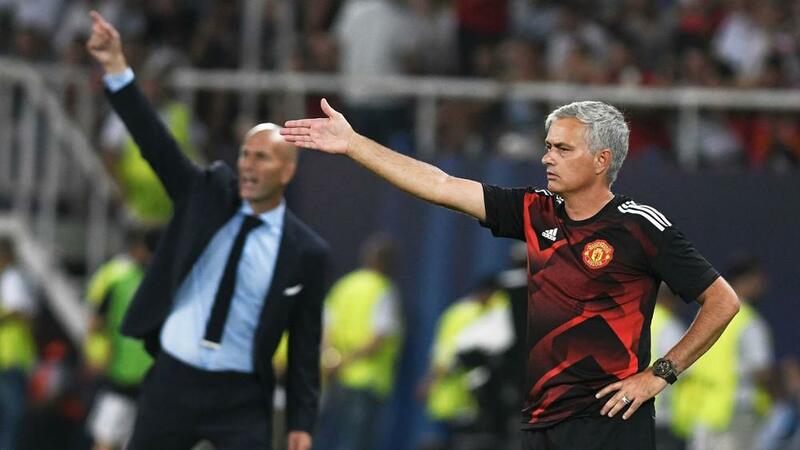 "The first option was Mourinho, and Mourinho was the one who was going to come to Real Madrid because he's the only coach the president respects,” said Calderon, as reported in Spanish media outlet AS. "Florentino sees the Portuguese coach as a shield. "He says what nobody dares, he blames the referees, the press, [he says] that which is not normally said." Calderon revealed he is not in agreement with Perez, which he believes is a belief shared among key figures in the Madrid dressing room. "The dressing room leaders pushed to reject the possibility of Jose Mourinho," Calderon told Sky Sports.